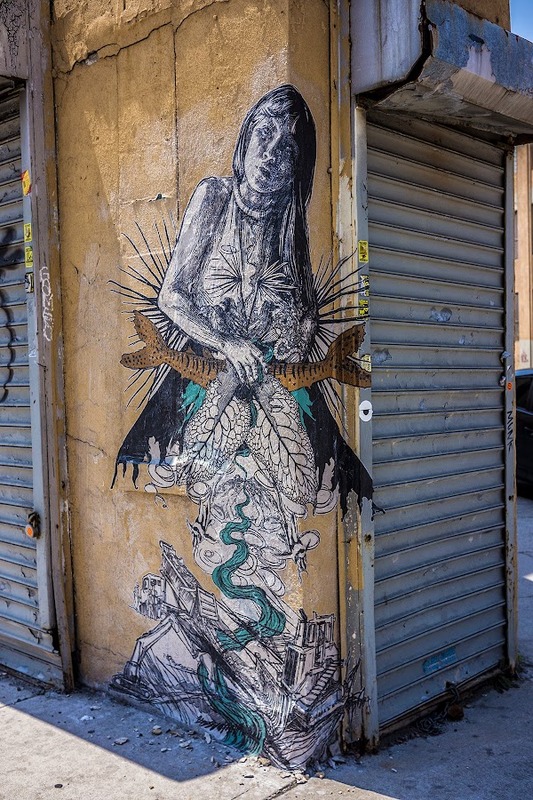 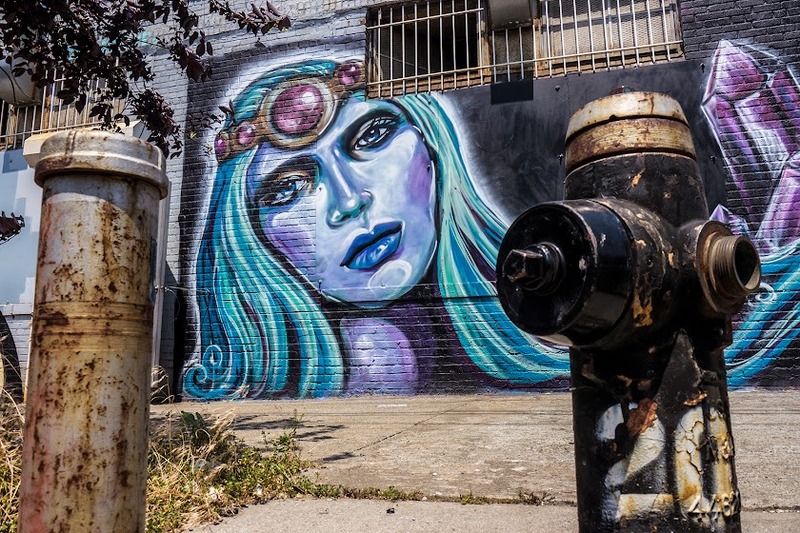 OK, so here's yet another post featuring photographs taken during my recent trip to New York City; in this case, The Bushwick Collective, an outdoor street gallery of artists from around the world. 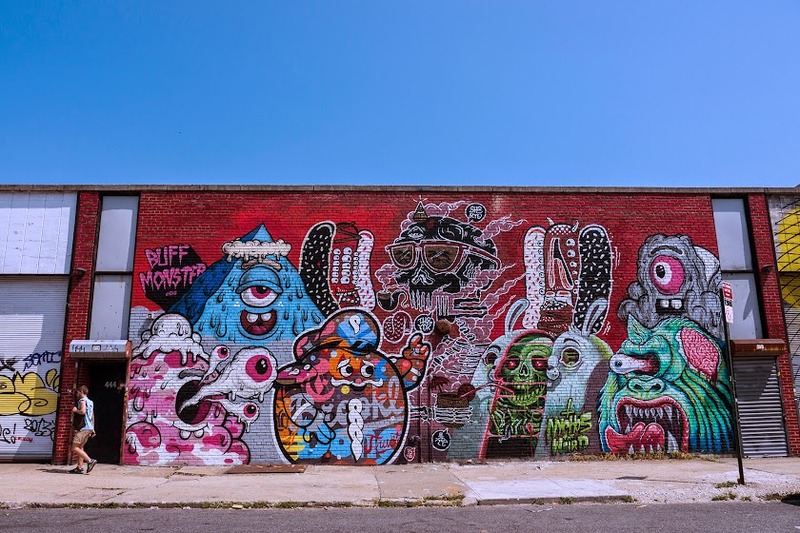 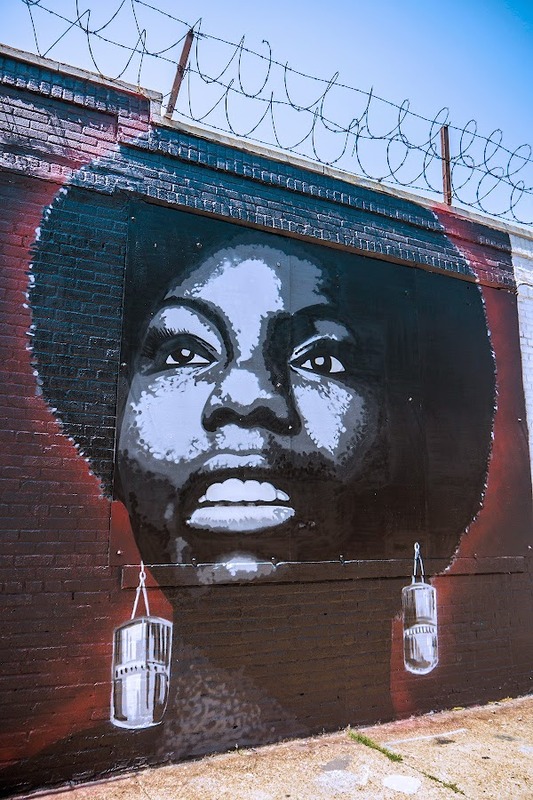 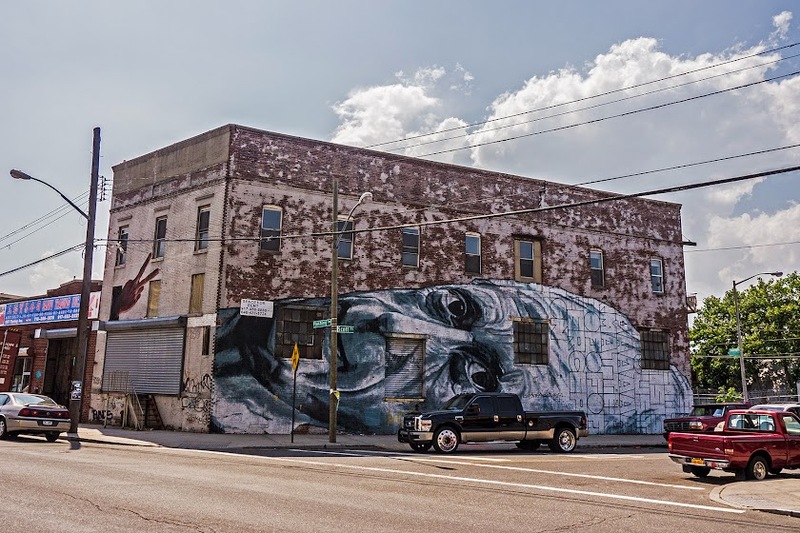 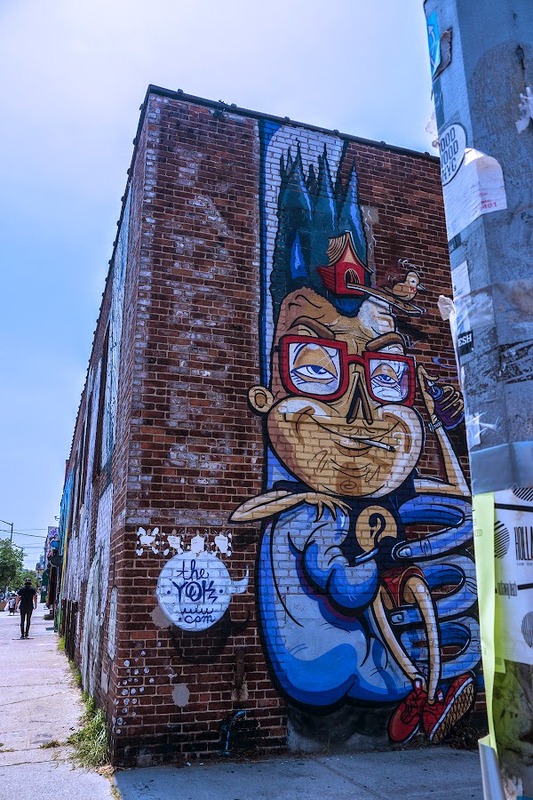 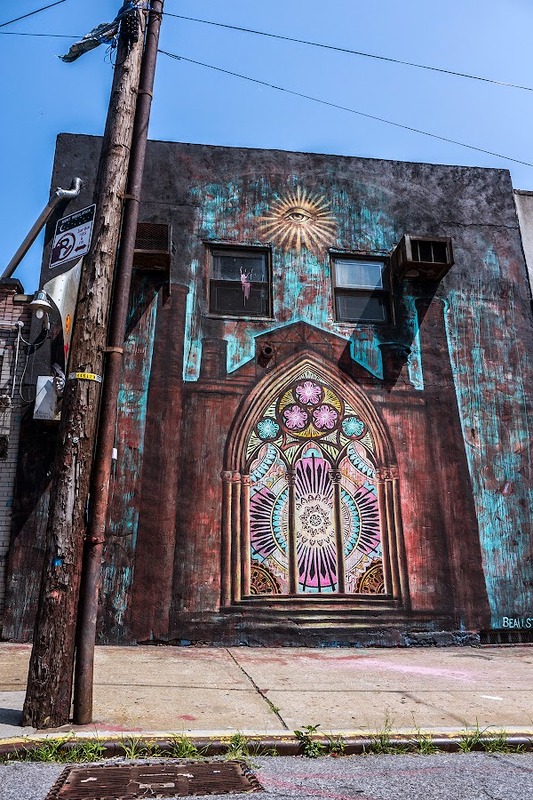 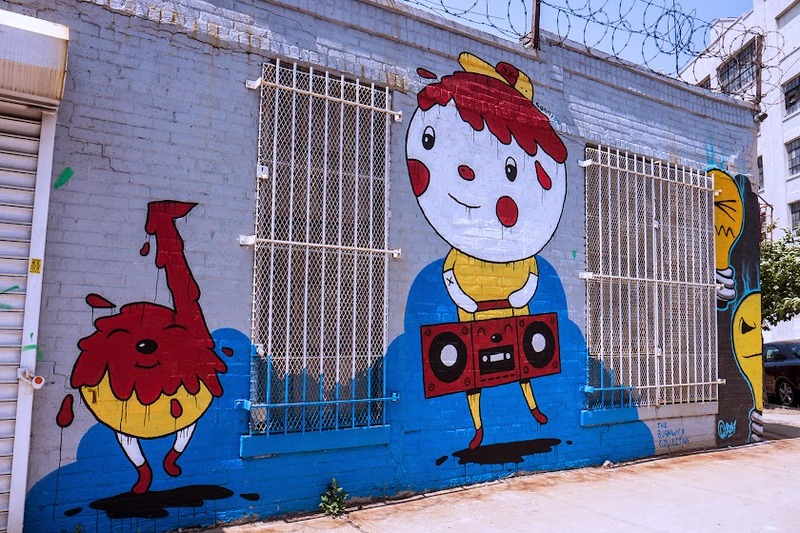 In Brooklyn, the Bushwick Collective at Troutman Street and St. Nicholas Avenue is emerging as a new destination for street artists. 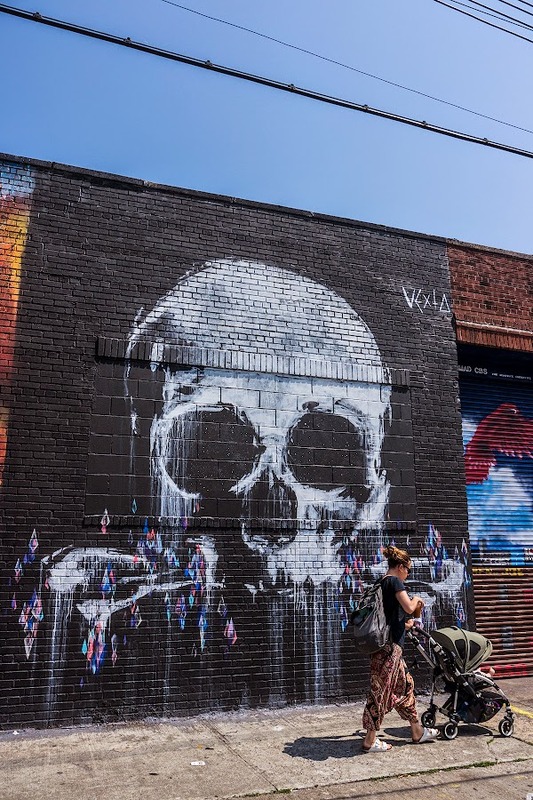 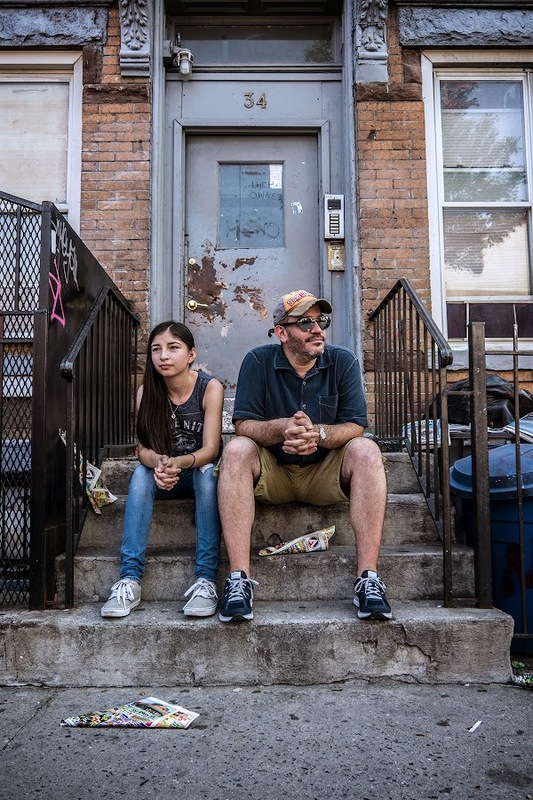 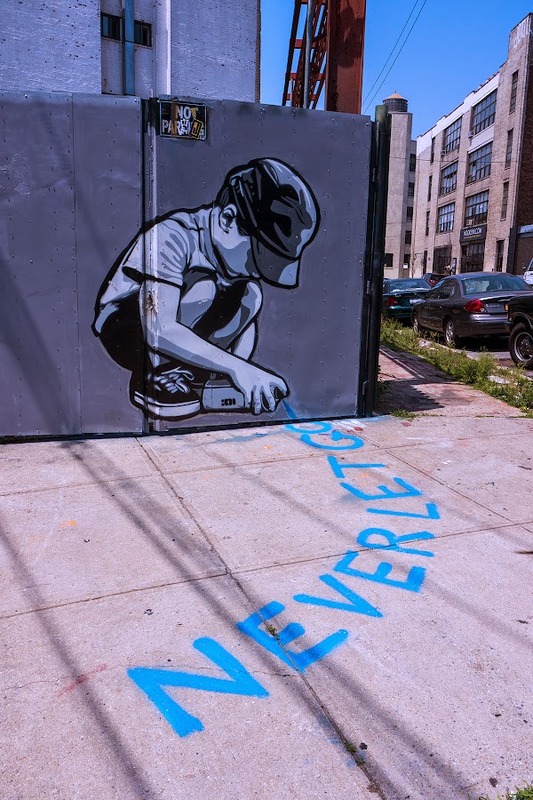 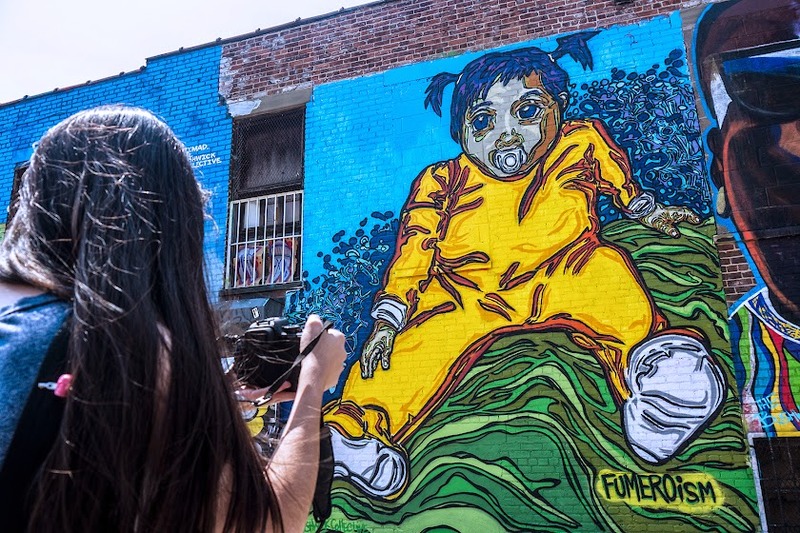 Joseph Ficalora, whose family owns a steel fabrication plant in Bushwick, curates the vast outdoor art gallery that is slowly transforming a neighborhood that has been plagued with crime and vandalism (the place is still overrun with illegal graffiti). 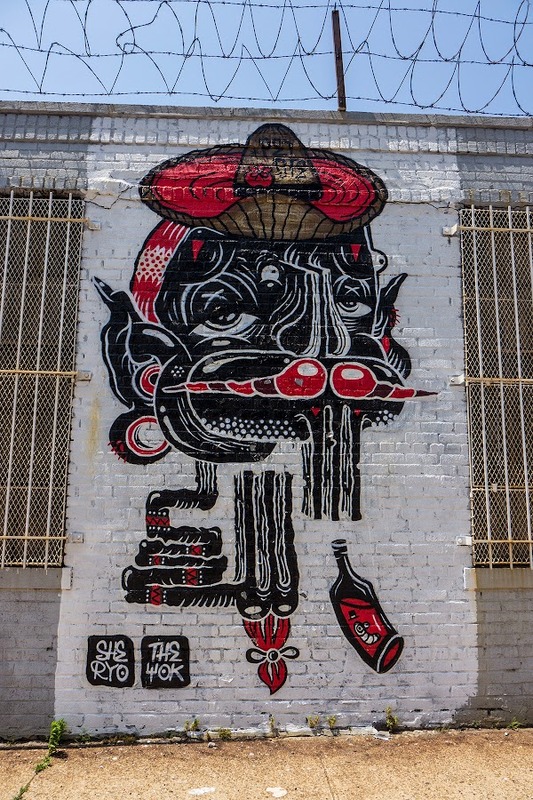 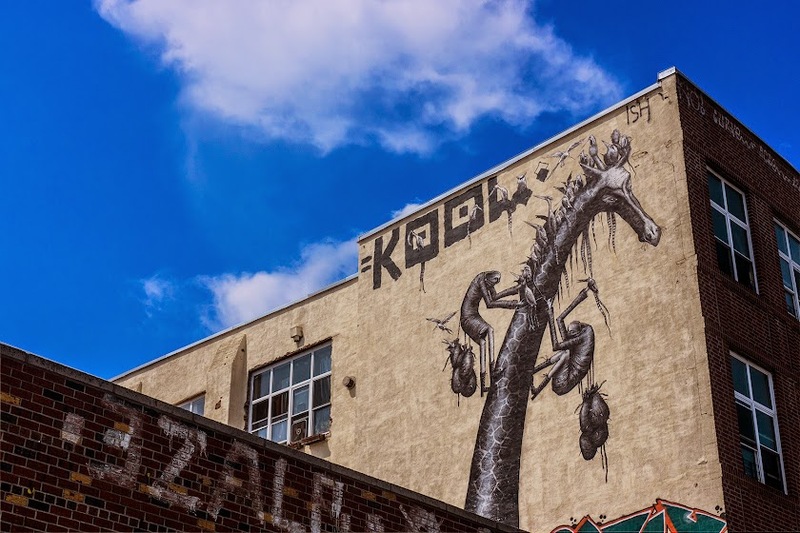 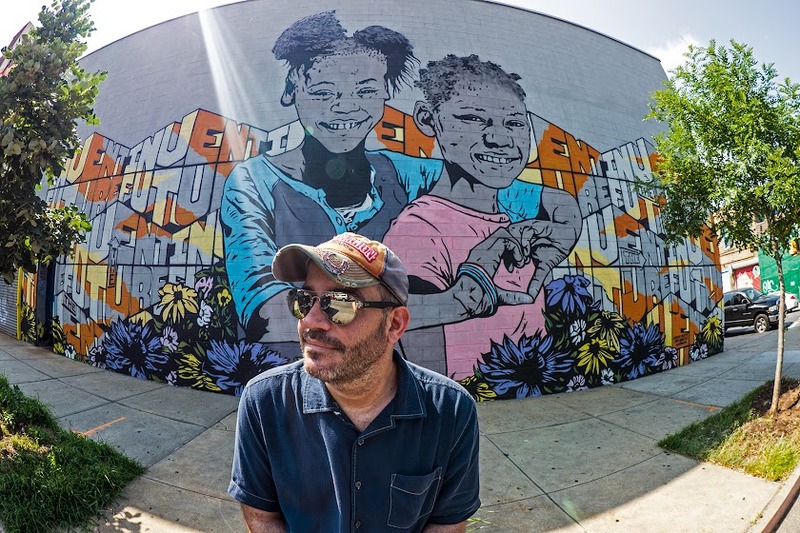 Ficalora works with other local building owners to find and provide empty walls for emerging street artists, who have come from all over the world. 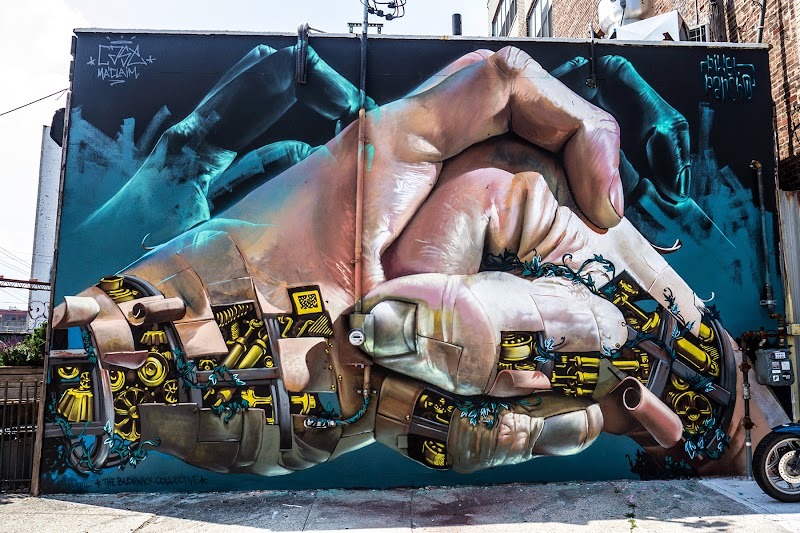 Artists are required to send three jpegs of recent work, a short bio, and their concept to [email protected] before permission is granted.